Summer term is fast approaching with the Easter holidays upon us. Plans for the athletics season are rapidly solidifying. School Games competitions are planned with QuadKids and Super8 playing a major part as the vast majority of those competitions will be running QuadKids as their athletics competition and Super8 for the older ones. QuadKids is a major part of the School Games competitions and Athletics in Primary & Secondary schools across the country. Over the Summer thousands of children will compete either in intra-school / inter-school competitions or much larger events at the School Games. If you don't see your competition here then get on to your local School Games Organiser or local event organiser and ask them to post your competition results on our website. It's so easy to do there is no excuse not to. If your results are posted then there are FREE certificates to download, you can also check your performances and see what ESAA (English Schools Athletics Association) award you have achieved. SGOs, if you need help then get in touch! QuadKids Schools is the preferred athletics format for the School Games, including level 1 inter (whole school), level 2 intra school events, Schools Games qualifing rounds and level 3 County / School Games finals. 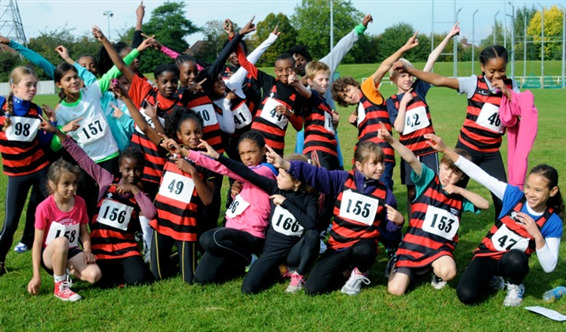 This easy to run athletics format encourages participation for all ages and abilities and has been widely used throughout the UK for many years. QuadKids Clubs is the ideal competition format for U9 and U11 inter and intra club competitions and athletic network leagues and events. QuadKids is the perfect stepping stone encompassing all the key aspects of athletics; endurance, speed, agility and strength. The Yeovil Olympiads AC Spring Open takes place on Monday 22 April at the Bill Whistlecroft Athletics Arena, Yeovil.